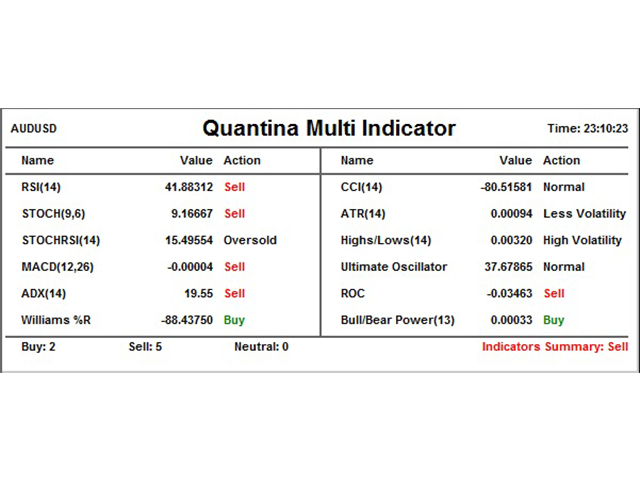 Quantina Multi Indicator Reader can analyse up to 12 most popular and commonly used together indicators in seconds on any timeframe, on any currency pair, stocks or indices. 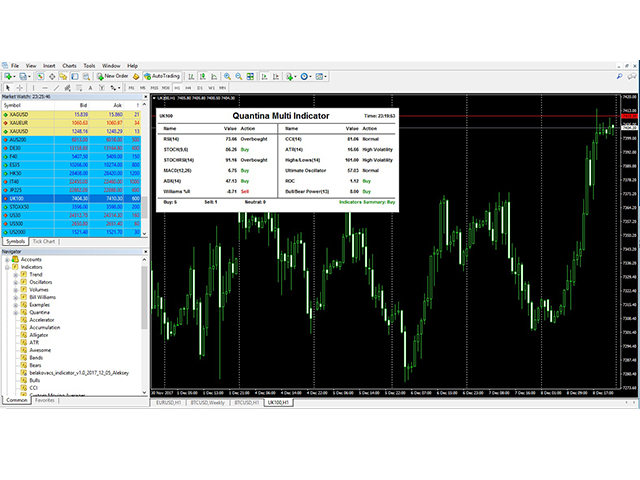 On the chart panel you can easily read each indicators default meanings and also there is an Indicators Summary on panel. 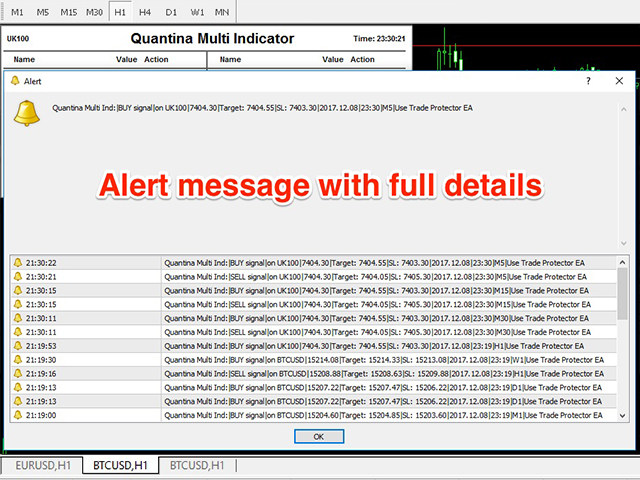 1 file only: Quantina Multi Indicator Reader is 1 file only. No need to install other indicators to work. 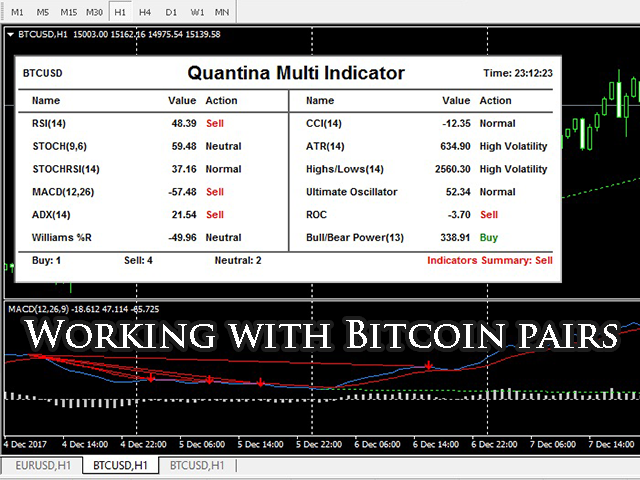 It is using the built-in indicators from MetaTrader 4 terminal. Easy to read panel on chart. SL: default StopLoss value in pips for calculating exact price for you in alert message. 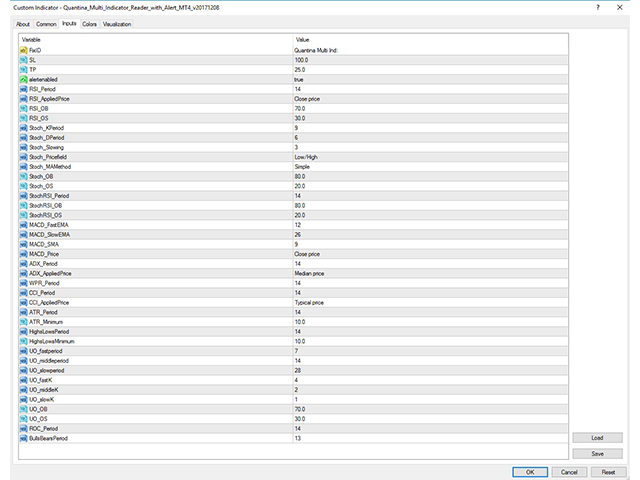 TP: default TakeProfit value in pips for calculating exact price for you in alert message.